Clarksville, Indiana is one of our favorite places around Louisville. I’m in the area a lot I shop at that Wal-mart and Target there. And, On-Site Louisville Computer Repair Company has done multiple projects for both business and residential customers in Clarksville. 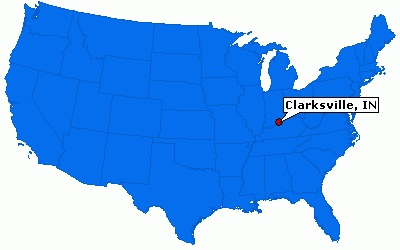 Please call and we can do free pick-up and delivery or come to your location in Clarksville, Indiana for free. Quality laptop repair, desktop computer repair, business computer service, hard drive replacements, operating system upgrades, virus removals, file system errors, printer set-up or anything else you need. If you’re a female customer and would like to request a female technician to do a house call we have a female tech on staff waiting to help.